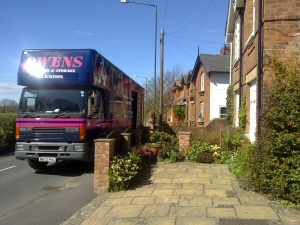 Owen's Removals are a long established family run firm with years of removals experience. We pride ourselves on a friendly, professional and quality service. From a single item to a full house move, our trained and uniformed staff will treat you, your home and possessions with care and courtesy at all times. Our aim is to make moving home as stress free as possible. We are fully insured and believe in getting it right on the day. Wherever possible, we will call to assess the property and your possessions beforehand to make sure we have quoted the right price, that you don't need anything further and that everything will run smoothly on the day. We offer a full packing service if required, along with reasonably priced Packing Boxes and other materials. Not immediately moving on to somewhere else? We also have Secure Storage facilities available for domestic and commercial use. If you have any unwanted furniture or larger household items, we can dispose of them for you for a nominal charge, usually cheaper than your Local Council. Please call for a price. Take a look at our Photo Gallery page for examples of our House Moves services. For references from previous customers, please visit our Testimonials page. Or alternatively, you can request a detailed quote on-line via our Get a Quote page. If you're emigrating to America, Canada, Australia, New Zealand or anywhere else beyond the reach of our vans, Owen's Removals may still be able to help. 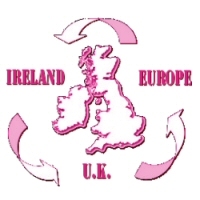 We can arrange your shipping for you, including full packing, a container if required, delivery to your destination and a company at the other end to unload and dispose of packing materials.